The cost of being a bridesmaid in 2018 is sort of bananas especially if you go all out. 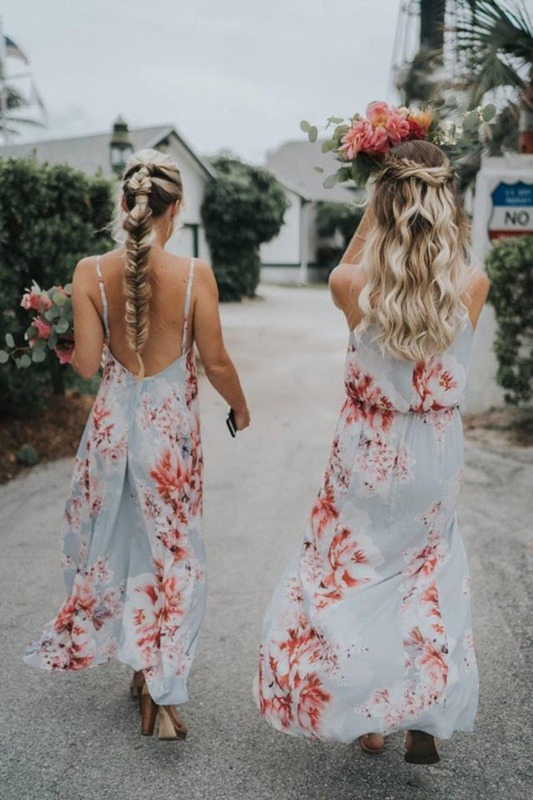 You've got the engagement party, the bridal shower, the bachelorette party (7 things you can expect to happen at a bachelorette weekend), your personal bridesmaid style and the actual wedding day. Try not to go broke, ok? We're always trying to give you ideas and inspiration and today we're showing you 10 bridesmaid dresses under $150. You for sure want to wear something that you love as much as the bride and you def don't want to go to the poorhouse over it! Sit down with the leading lady and peruse through our picks for some seriously budget savvy bridesmaid dresses. Once you've found the perfect dresses, you're going to want to flip through these 20 Bridesmaid Photos You Need to Have On Your Shot List and the oh-so-important article on Bridesmaid Etiquette: What Not To Do. Before you go and if you're new here, you should probably head over to check out our Free Printables for bridal showers and bachelorette parties too. This one is our personal favorite for a bach party for sure and if you love our dino invites, you'll go nuts for our dino tees. Who doesn't love a t rex in a flower crown? Ok, it's time to start your bridesmaid dress hunt, click to see 10 super cute bridesmaid dresses all under $150 and some are A LOT LESS! Wait until you see the Plum Pretty Sugar bridesmaid dress that's only 70 bucks! It's so perfect for a spring or summer wedding. They also have a ton of stunning styles that are a little over $150 but not by much. Click here to see the 10 bridesmaid dresses we love under $150 and if you love them too, act fast because some of them will definitely go out of stock quick.